On November 1, CMS issued its 2018 Outpatient Prospective Payment System “OPPS” Final Rule, which most importantly finalizes the Medicare Part B payment reduction for certain drugs acquired through the 340B Program. The Medicare Part B payment rate is currently set at Average Sales Price (“ASP”) plus 6%. Effective January 1, 2018, CMS’ new rule will reduce Medicare payment for certain 340B covered entities to ASP minus 22.5%, resulting in a net reduction of 26.89%. CAHs and non-excepted HOPDs (i.e., those off-campus HOPDs established or acquired on or after November 2, 2015) are not paid under the OPPS, and therefore this rule does not apply to them. CMS expressly exempted the other three facility types in the final rule. For 340B DSHs and RRCs, the modifier “JG” must be added to any HCPCS code representing drugs acquired through the 340B Program. This “JG” modifier will trigger the reduced payment rate described above. For 340B SCHs, Children’s Hospitals, and PPO-exempt cancer hospitals, the modifier “TB” should similarly be used. These facilities will continue to receive the ASP+6% rate; yet CMS will collect data through the “TB” modifier to determine whether these facilities will continue to be exempted from this Medicare payment reduction in 2019 and beyond. CAHs and non-excepted HOPDs do not need to report either modifier, as they are not paid under the OPPS. Please contact The Advis Group to discuss strategies to mitigate impacts of this rule, for example by leveraging exempted venues listed above. CMS estimates the Medicare payment reductions for 340B-acquired drugs will result in $1.6 billion in savings to the Medicare program. To implement this rule in a budget neutral manner, CMS states it will redistribute these savings equally to all hospitals paid under the OPPS – even those that do not qualify to participate in the 340B Program. When this 340B rule was initially proposed in July 2017, industry groups across the nation quickly came out in opposition, stating the payment reduction would misdirect funds intended for indigent care and consequently undermine the core purpose of the 340B Program. Additionally, in late September, 228 bipartisan members of Congress sent a letter to CMS urging the agency to withdraw the proposed cuts, emphasizing the harm it would cause to patients and charitable hospitals alike. With the issuance of this rule, the backlash has continued – within an hour of the announcement from CMS, the American Hospital Association, Association of American Medical Colleges, and America’s Essential Hospitals publicized plans to pursue litigation against CMS for overstepping agency statutory authority. OPPS Payment Increase: CMS announced an overall 1.35% increase to OPPS rates for CY2018. ASC Payment Update: CMS announced an overall 1.2% increase to ASC payment rates for CY2018. Inpatient Only List: For CY2018, CMS is removing total knee arthroplasty from the Inpatient Only List, in addition to five other procedures represented by the following CPT codes: 27447, 43282, 43772, 43773, 43774, and 55866. One procedure – CPT 92941 – will be added to the Inpatient Only List. ASC Covered Procedures List: Three procedures are being added to the ASC covered procedures list, designated by the following CPT codes: 22856, 22858, and 58572. Supervision of Hospital Outpatient Therapeutic Service: CMS is providing relief to rural hospitals by placing a two-year moratorium on the direct physician supervision requirements for rural hospitals and Critical Access Hospitals having 100 or fewer beds. The Advis Group will continue to provide regulatory updates as they arise. 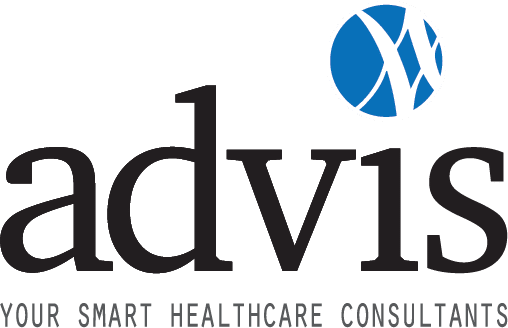 For more information on how this CMS Final Rule will affect your organization, or for assistance in implementing required changes and mitigating the impacts, give The Advis Group a call at 708-478-7030. Contact us for assistance with 340B compliance.